CoAction, the Co-operative Housing Federation of Toronto (CHFT) and the Peel Halton Co-operative Housing Federation (PHCHF) are pleased to co-sponsor First Aid training opportunities for co-op staff. The First Aid/CPR course that is is being offered meets the Workplace Safety and Insurance Board’s (WSIB) requirements for small workplaces. 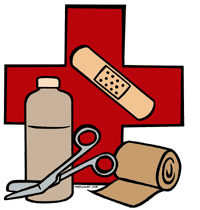 There should be at least one person in each workplace who has First Aid certification and that certification should be renewed on a regular basis. Aside from the requirements of the WSIB, co-op staff are sometimes called upon the respond to respond to the First Aid needs of members and it is helpful to have had the training provided by professionals. This an introductory course covering the principles of First Aid/CPR and life-threatening emergencies. Each participant will receive training on an approved training manikin while using a barrier device and gloves. There will be several opportunities to practice first aid skills with fellow participants in a fun and relaxed atmosphere under the guidance of a highly qualified and experienced instructor. We are pleased to welcome back FASTEMS as trainers. Certificates that are recognized by WSIB will be issued for successful completion of the workshop. Please arrive on time. Certificates will only be issued to those who complete the entire workshop.